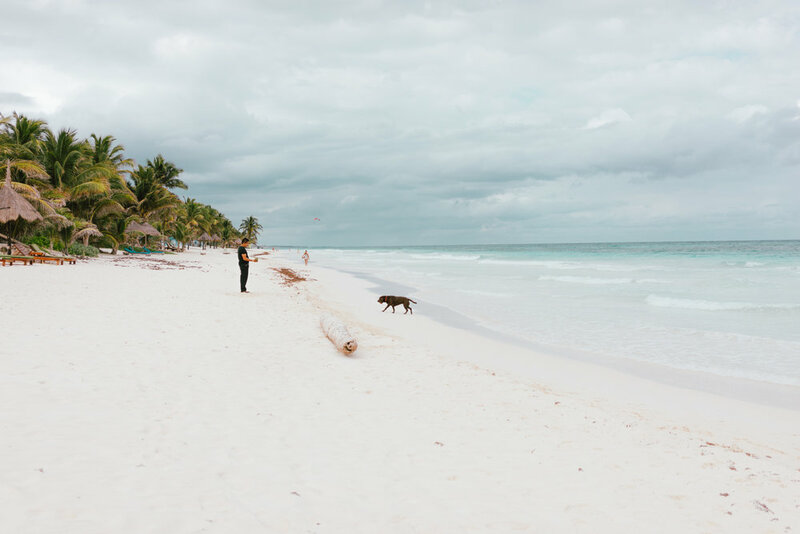 Tulum has quickly become the go-to spot for travelers seeking turquoise water, delicious food, and a posh escape from the city life. Tulum is located on the Riviera Maya 90 miles south of Cancun. For my boyfriend’s birthday, I decided to surprise him with a 4-day getaway in Tulum. It took me a while to finally come up with the perfect place to take him. I gave him little clues every week and kept him guessing until we arrived at the airport. Even then, he didn’t know we were going to Tulum. There's no direct flights to Tulum, fly to Cancun. Get cash! – There is a Santander ATM right outside customs. Many places don’t accept credit cards. Get mosquito repellent. We used natural repellents this one and this one from Amazon. If you want something strong to repell everything, use this one. You can easily get around Tulum by bike or taxi - make sure to always ask for the price before jumping in the taxi. There is no direct flight to Tulum so you will have to fly to Cancun and make your way either by car, bus, or shuttle. For our relaxing getaway, we chose private shuttle. Enters Tucan Kin, a transportation company that offers first class airport transfers. Once our plane touched down in Cancun, the friendly driver was already waiting for us. We hopped in our deluxe SUV and began our journey to Tulum. The ride from Cancun to Tulum takes about an hour and a half, so keep that in mind when returning to take your flight back. An hour and a half later, we arrived at our new home away from home: NEST Tulum - a rustic-chic boutique hotel-nested at the end of Tulum’s hotel zone. This private oasis was the perfect place to relax and unwind. 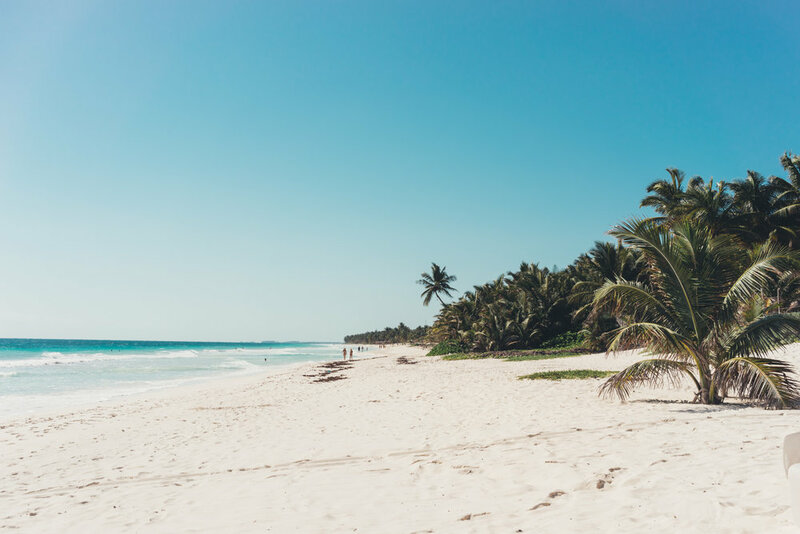 For the dreamy hotels in Tulum that you often see on Instagram, check out the hotels located on the Zona Hotelera - Hotel Zone - by the beach. For more affordable options, check out the accommodations in town. On our first day, we visited Tulum’s ruins - the only Mayan city built on a coast. It’s only 15 minutes away by car - or about 200 pesos by taxi from our hotel. We decided to be adventurous and rode our bikes there, courtesy of NEST Tulum. 45 mins and a coconut paleta later, we arrived at the breath-taking archeological marvel. If you are visiting in the summer, it can get very hot so take a taxi instead. If you want to avoid the crowd, make sure to get there early. Tip: Avoid the little train. It takes you to a small touristy area that you could walk yourself to in less than three mins. Cenotes are one of Tulum's biggest attractions and for good reasons. The natural sinkhole results from collapsed limestone bedrock that exposes groundwater underneath - most of the time resulting in crystal clear water and beautiful sight. You can snorkel or dive in the cenotes, but if you are certified, I highly recommend diving. After researching the many tour companies, I decided to go with Agua Clara Diving Tulum. They offer different kind of tours including snorkeling, biking, hiking, and eco-tours. We arrived early in the morning to Agua Clara’s shop and met with our guide, Leo. He was fun, incredibly friendly, and very knowledgeable about the cenotes. For our diving experience, we decided to explore Casa Cenote and Dos Ojos. Casa Cenote is a beautiful open cenote with crystal clear water. The mangroves located along the water make this cenote a little different. As we dived, we saw the sunlight pierced through and illuminated the cenote in a very magical way. Marine life is not abundant, but we saw some fish and diving birds in action. Dos Ojos is the most popular cenote in Tulum. The cenote consists of two cenotes connected through an underground cavern. Make sure to arrive early as it can get super packed. Diving in the cenotes was an amazing diving experience, and we loved it. If you are planning to visit Tulum, make sure you reach out to Agua Clara Diving Tulum. They have fantastic reviews on Trip Advisor. Tip: Don't forget to wash off the sunblock and mosquito repellent before jumping in! Enjoy a little shopping therapy along Tulum Hotel Zone’s roadside. The area is filled with boho-chic boutiques and hard-to-resists swimsuits, dresses, and jewelry. Wanderlust – located on a side street in an area called La Placita, right behind Mur Mur. Hoki Poki Kana – located in the same area, La Placita. De La Rosa - located outside the Maria del Mar hotel. Enjoy a long walk through the beautiful beach. Sunset is the best time to do so. You can even hop from hotel to hotel from the beach. Don't forget to check out Playa Ruinas for the insanely beautiful turquoise water. Hartwood – Make sure to make a reservation in advance. 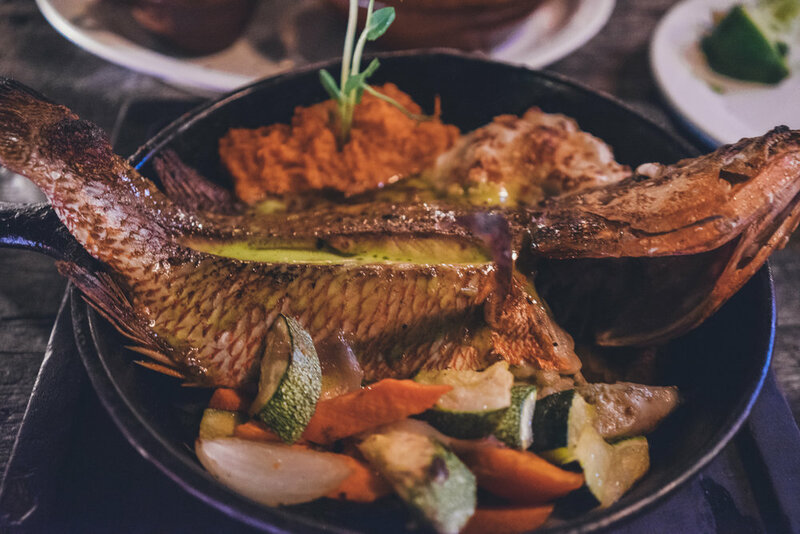 I wouldn’t leave Tulum without trying one of the local's’ favorite restaurants. After all, that’s where you find the best food! 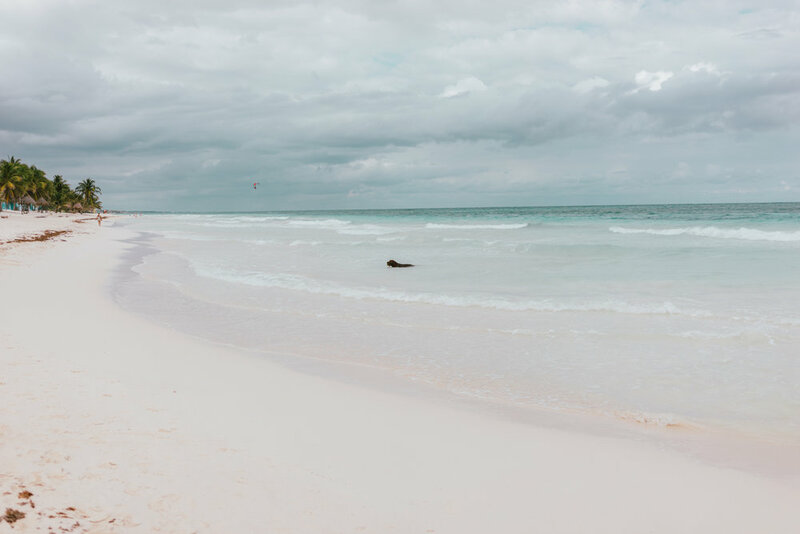 PIN it if you plan or would like to visit Tulum!